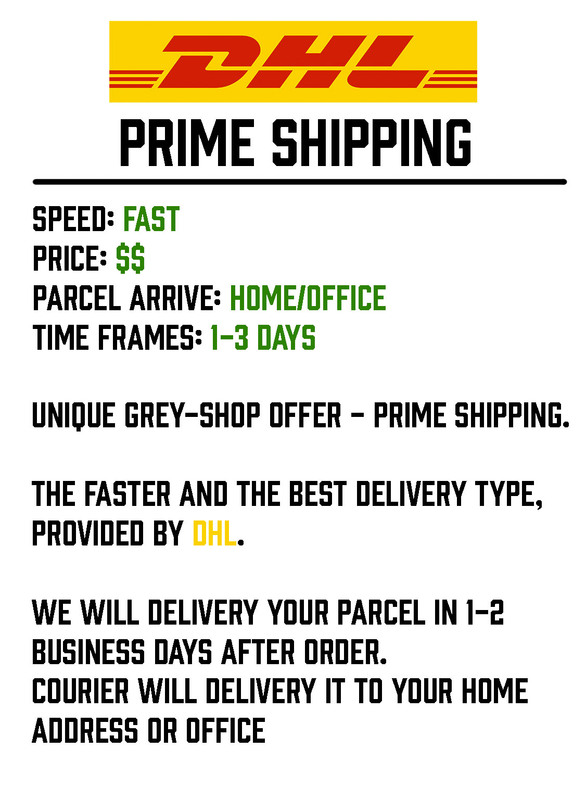 The fastest delivery option provided by DHL Express, the world leader in logistics and express delivery services. 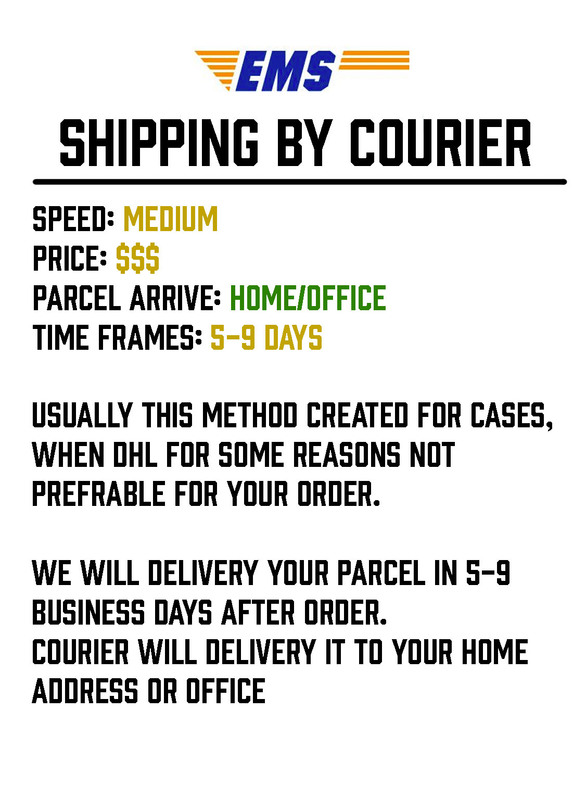 Your order will be delivered by a courier to your home or office address within 1-2 business days after it has been placed. We strongly recommend express delivery if time is your priority. STANDARD DELIVERY: standard delivery with an EMS courier within 6-9 business days. Delivery service provided by EMS takes longer – 6 to 9 business days after your order has been placed. It will be delivered by a courier to your home or office address. 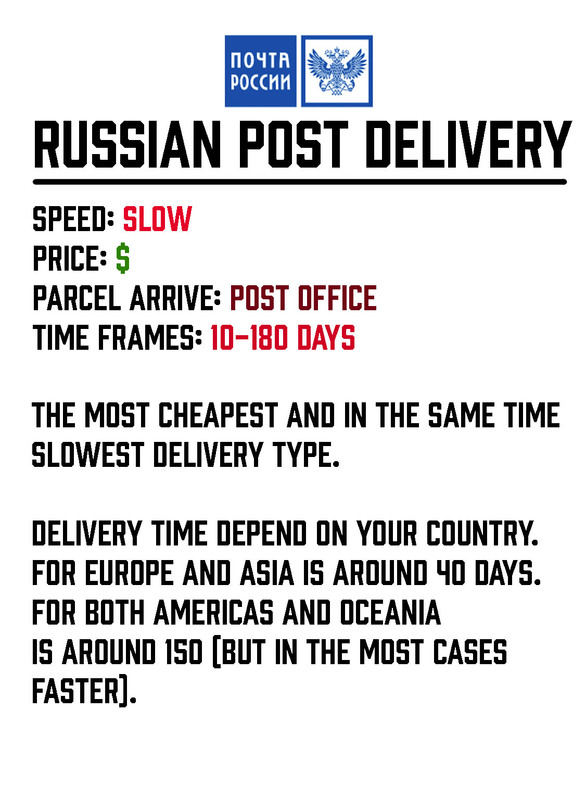 CLICK & COLLECT: postal service delivery by Russian Post within 40-180 days (depending on the destination). The slowest, but on the plus side the cheapest delivery option provided by Russian Post. Shipping times vary depending on the destination: delivery to Europe and Asia takes approximately 40 days, both Americas and Oceania – up to 150. The order is delivered to your post office. CLICK & COLLECT (small packages): postal service delivery by Russian Post within 10-14 days offered for shipping small packages. Another affordable delivery option provided by Russian Post for small shipments ONLY (up to 2 kg in weight). The order is delivered to your post office. We provide insurance for all shipments thus ensuring timely, accurate and secure delivery.